January 2020 – Next Master Gardener class (offered even-numbered years in Ferry County). We currently have 5 Master Gardeners in Ferry County: Sara Sly, Twinflower Wilkie, Mary Davis, Richard Miller, and Diane Tonasket. The Master Gardeners provide various activities throughout the county by hosting workshops, advising different community gardens, assisting individuals’ gardening issues, creating demonstration gardens, as well as presenting Ferry County’s Annual Garden tour, Conservation Fair Q & A and workshops, and a Ferry County Fair booth display. 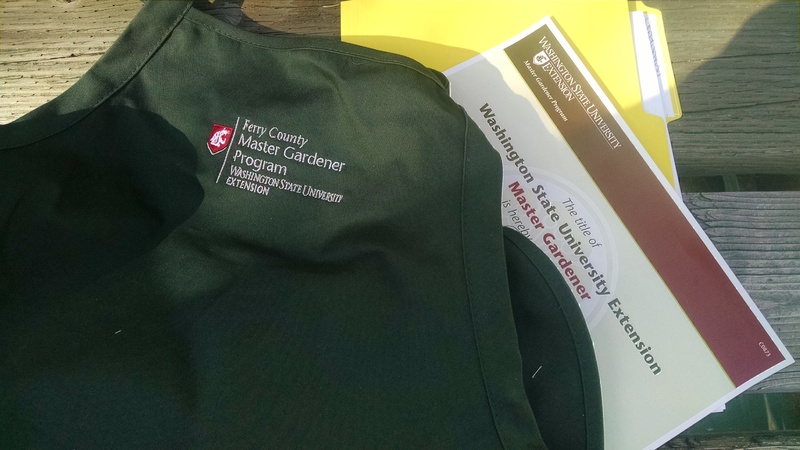 If you are out and about and see a Master Gardener wearing a green apron and their name tag, feel free to stop and ask any gardening questions you may have. They will be happy to be of assistance. If you are interested in training, contact our office to be placed on our list.